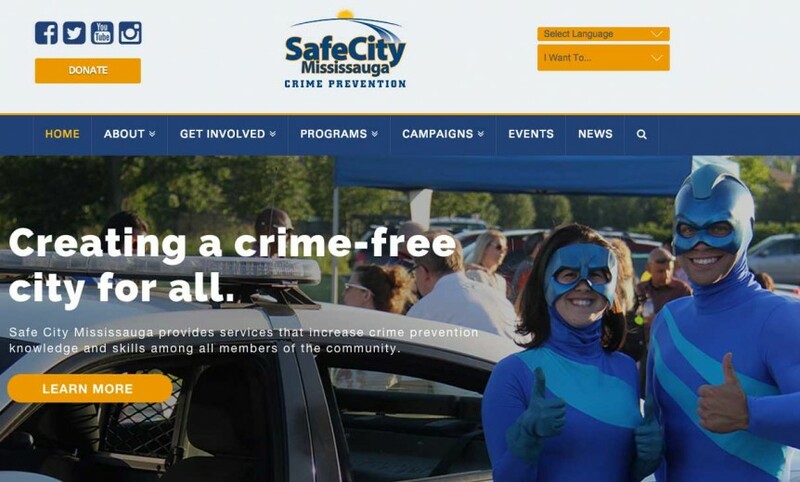 MISSISSAUGA, ON – Safe City Mississauga, a not for profit charitable crime prevention organization has launched a new, fully featured and accessible website – www.safecitymississauga.on.ca. The new website now has a refreshed and simplified look, combined with enhanced content, and improved search functionality. The website also supports optimization for mobile devices allowing individuals to access it from just about anywhere. Key features of the site include a cleaner and more attractive design, a more engaging user experience with enhanced search and navigation, accessibility functions and the capability to share posts through social media as well as print, email and save as PDF. “Safe City Mississauga is committed to providing services, programs and activities that increase crime prevention knowledge while educating the community” said Saania Jamal, Community Affairs Coordinator with Safe City Mississauga. “With this new website, we hope to provide an easy and accessible resource where individuals can learn more about various crime prevention initiatives happening right in their local community”.